If we think about our brain as if it were a computer, our brain goes offline when we experience difficult and intense emotions like anger, fear or shame. Our prefrontal lobe, the logical part of our brain which matures in our mid 20’s or thereabouts and is responsible for behaviour, intelligence and memory basically gets hijacked by our amygdala (our body’s alarm system). This in turn triggers our fight-flight response. 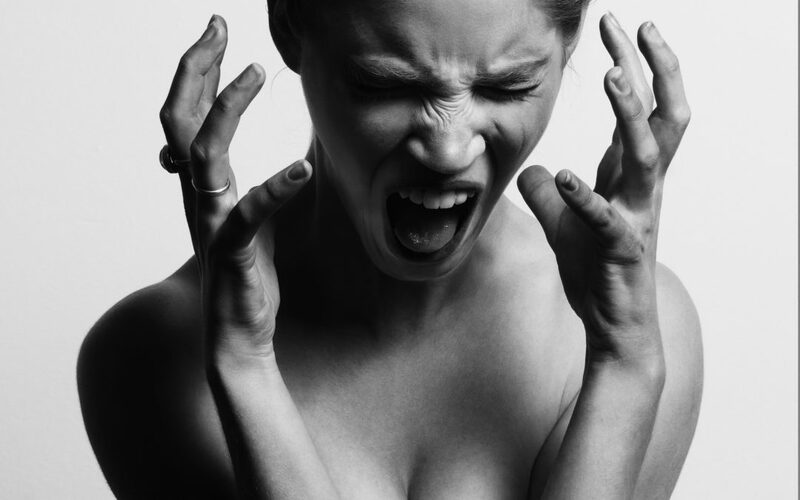 When this happens stress hormones (adrenalin and cortisol) are released into our body. Our heart rate increases, our breathing shifts and becomes faster and our muscles tense. Before you take action, it is important to recognise that this process is occurring. Often this is easier said than done the three tips below may help. This is my achilles heel and I need to remember what I’m suggesting. When we feel situations and circumstances are out of control, we are likely to feel fear and a direct response to this, is usually to gain some control over what is happening. At this point don’t bother. The thinking part of your brain is frozen (temporarily a computer says no moment). When you’re flooded by emotions, chances are rational, logical thinking will be almost impossible to achieve. At this point, it is important to focus on accepting where you are at that moment. It would be understandable to push against your emotions and aim to avoid the feelings that you are feeling. However, this is more likely to fuel anxiety. To shift back to a computer says yes moment, your thinking brain will come back online and a reduction of the intensity of your emotions is needed. One of the quickest and most effective ways to do this is by calming your breath. When we become overwhelmed by emotions our breathing changes. Our breathing becomes shallow or rapid, or we hold our breath (or any combination of these changes occurs). These changes disrupt the balance of oxygen and carbon dioxide in your body. This imbalance fuels the fight-flight response and can leave you feeling dizzy, light-headed, confused, breathless, tense and panicky. Here are some tips that may help with breathing, these can be beneficial for adults and children alike. 1. Inhale slowly and deeply through your nose. Keep your shoulders relaxed. Your abdomen should expand, and your chest should rise very little. 2. Exhale slowly through your mouth. As you blow air out, purse your lips slightly, but keep your jaw relaxed. You may hear a soft “whooshing” sound as you exhale. 3. Repeat this breathing exercise for several minutes. You can perform this exercise as often as needed. It can be done standing up, sitting down or lying down. It’s always more effective to learn any new skill when feeling as calm as possible rather than stressful circumstances, so when you first start practising breathing exercises aim to do this when you feel mentally fit. To really build your confidence with this skill do as often as you can. After you have calmed your breathing, the next step is to distract yourself. Distraction can help you to get some space between you and your emotions. It is important to note that distraction is different from avoidance. Avoidance is avoiding emotions and feelings permanently – making a choice not to confront them. Distraction, on the other hand, is a temporary measure. You can come back to your thoughts and feelings once the emotion has died down and you’re in a better space to think clearly.